A short recitation of the Diamond Cutter Sutra. and lots of light offerings on this special Buddhist day! The sutra recitation is is a powerful way to remove the causes of confusion and plant the seeds of wisdom in our mindstream. Lama Zopa Rinpoche says that even just hearing about emptiness, even with a mind of confusion, is like an atom bomb to the delusions! This short recitation helps to purify one’s speech, calm and harmonise the mind, and bring the blessings of the Buddha’s wisdom directly into your mind. Today is the culmination of the 14 special Buddha Days leading up to the Day of Miracles, so all actions done with a positive motivation have incredible power to bring far-reaching and beneficial results. Light offerings are especially powerful in galvanising our wisdom and removing inner obstacles. 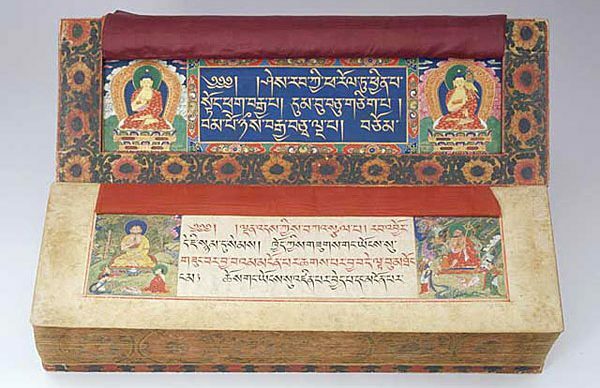 We will dedicate this recitation the health and long life of Lama Zopa Rinpoche, as recommended by Khandro-la as being very beneficial in removing obstacles to our precious guru’s health and long life. By reciting we remove obstacles and gather the inner energy and resources to be able to take teachings in person from our precious guru.